For the past five years, I have been able to begin my report by saying that the state of our congregation is strong, and I see no reason for departing from that tradition this time. It is true that we will have to face many challenges in the years to come, and that there will be difficulties and problems that we have not anticipated and cannot anticipate. That is the way of the world, the future is always uncertain, to some degree. But we can prepare for whatever is to come by doing all that is in our power to be the best version of ourselves, the best Adas Emuno that we can be. And to acknowledge and address those challenges that we do recognize. With this in mind, I will say to you this one last time, the state of our congregation is strong. In politics, it is of course customary for office holders to take credit of all the good that occurs, and pass the blame for the bad off to others. But our congregational leadership has never been very political, and I want to state, for the record, that when I took on the role of president six years ago, I was very lucky. I was lucky because a period of deep financial distress had just ended, through a series of significant donations. I was also lucky to be able to work together with a group of trustees and officers who were willing to roll their sleeves up and put in the effort needed to keep our congregation running smoothly. And who were willing to put on their thinking caps, or I should say their thinking kippahs, and work out effective and creative solutions to the problems we faced, and come up with new ways to improve our shul and our school. 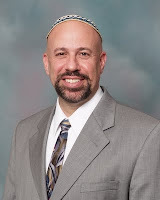 And I was very lucky as well because the previous year Rabbi Schwartz became our spiritual leader; it has been a great gift to our congregation to have him join us, and it has been a great gift to me personally to have the privilege of working with him. 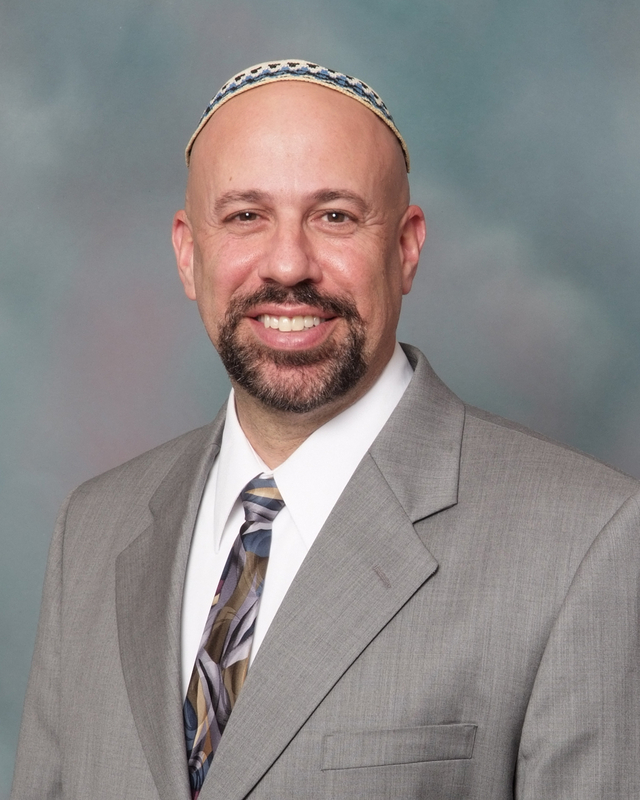 Rabbi Schwartz is a true inheritor and embodiment of the prophetic tradition that is central to Reform Judaism, as a voice for social justice and a champion of ethical conduct, as a teacher and educator of great intellectual acumen, as an individual of deep and abiding spirituality, and as an advisor, counselor, and caretaker in every sense of the word. Thank you, Barry, for all that you have given to us over the years. And let me add a word of thanks for the added bonus of our rebbetzin, Debbie Schwartz, who has also contributed to our congregation in many significant ways. During my first two-year term as president, in contrast to the situation with our rabbi, things were a bit more problematic when it came to the roles of cantor, and religious school director. All that changed when we hired Cantor Horowitz. Those of us who attend Friday night services enjoy singing along with Sandy, to melodies we know so well, and to all of the new ones that she has taught us. And all of us who come for the High Holy Days know that she is truly a sweet singer of Israel. When Cantor Horowitz joined us, it was to fill the duel role of clergy and religious school director, otherwise known as Cantor-Educator. Four years ago, it was an experiment, and we were unsure as to how it would work out. It didn't take long to learn that this experiment was indeed a success, and Cantor Horowitz has done an outstanding job with our Adas Emuno School. Thank you, Sandy, it has been a great pleasure and a privilege to work with you these past four years. I have dubbed Rabbi Schwartz and Cantor Horowitz our dream team, and these past four years our congregation has known a stability that we have not enjoyed for much of our recent history. And I am pleased to report that we can expect that stability to continue for this coming year, and hopefully, for many more years to come. I want to take this opportunity to thank my fellow officers for all of their hard work over the past two years, thank you to Vice-President Elka Oliver, Financial Secretary Mark Rosenberg, Treasurer Marilyn Katz, and Recording Secretary Susan Gray. I also want to express my gratitude to Michael Fishbein for his work as chair of the Building and Grounds Committee, and also for his willingness to step up and take over the leadership of our congregation for at least a year, and work together with Elka Oliver as we move forward. Virginia Gitter also deserves special recognition for all of the many roles that she plays for our congregation, as a past president and current trustee, as chair of the ritual committee, publicity committee, editor of our newsletter, Kadima, and so much more; it is hard to imagine what Adas Emuno will be like without her, after she leaves for the west coast in the fall, but she has set an example and provided us with a model of service and commitment that we all need to emulate. Thank you, Virginia. Six years ago, Adas Emuno was not very much engaged in social action, but that soon changed when we formed our Social Action Committee, and Annette DeMarco took over as chair; under her leadership, social action has become a significant component of our congregation's activities. I want to also acknowledge our other committee chairs, Susan Grey, chair of our Fundraising Committee; Elka Oliver, chair of the Music Committee; Jody Pugach, co-chair of the Cemetery and Religious School Committees; Michael Raskin, co-chair of the By-Laws and Religious School Committees; Norm Rosen, co-chair of the Cemetery and By-Laws Committee; Mark Rosenberg, chair of the Financial Committee and co-chair of the Membership and Internet Committees; Lauren Rowland, co-chair of the Membership Committee; and Ron Waxman, chair of the Adult Education Committee and co-chair of the Internet Committee. And I want to thank everyone else who has chaired our committees during my three terms, and everyone who has volunteered as members of our committees over the past six years. I also want to express my gratitude to everyone who has served as a trustee during my time as president. It was especially during those first few years that our meeting lasted many hours as we worked diligently on behalf of our congregation, and I am grateful to all concerned for your patience, and for all that we have accomplished together during this time. One of the first tasks we took on six years ago was to review and revise our by-laws, an effort then led by Fred Friedman and Norm Rosen. When you think about the importance of the Constitution to our nation, the same is true for the by-laws for any organization, including out congregation. A healthy organization will undertake such reviews every few years to determine whether they are being followed, and if not, whether to change the practices or to change the by-laws themselves. For this reason, we conducted a second review this past year, with the aim of clearing up some ambiguities regarding membership. The result is the proposed changes, approved by the board, that reduces our membership categories down to two, full members who have voting privileges, and affiliate members who do not. In part, this was to clarify the change made previously regarding voting rights of spouses. In part as well, it removes the financial category of membership unit from our by-laws, reinforcing the board's ability to set the structure for dues and fees. This was a result of the realization that the assumptions underlying membership units were outdated, for example the assumption that single parent families always are subject to financial hardship in comparison to two-parent families. These changes to the by-laws, if approved, will have no bearing on the dues structure as it exists at present, but it will be a topic that the board can review and revise in the coming year. Over the past six years, Adas Emuno has been able to organize many interesting and entertaining events as part of our adult education efforts, musical programming, and more. For this past year, I would personally like to thank my friend Moshe Botwanick, aka Marc Salem, for providing us with a mind-blowing exhibition of mentalism, a performance that once graced Broadway and other major venues. And I want to thank all of the performers and musicians who helped to bring my fourth Purim spiel to life this past March, and it is with great pride that I want to acknowledge the inspired directing on the part of my son, Benjamin Strate, for the second year in a row. Six years ago, one thing that kept coming up over and over again was the fact that many people in the area simply were not aware that there was a Congregation Adas Emuno. Over the past six years, that has changed dramatically, through efforts great and small, such as creating our logo and improving our outdoor signage, as well as obtaining significantly more publicity in the local press, especially the Jewish Standard. I can't remember the last time I heard someone say, I never knew you were here! Awareness does not always lead to action, but it is a step in the right direction. During my time as president, we changed our database provider and website host, and our website was revised. We are presently considering further changes, and we especially need to create a more dynamic website than the one we have now. This is a task that should be completed in the coming year. As for our congregational blog, I have been working on it for a decade, and it has enhanced our online presence. I have in the past asked for others to contribute, and I think it is time for us to consider the future of the blog, and for others to take over our social media accounts on Facebook, Twitter, LinkedIn, and the like. Moreover, over the past six years I have noted that organizations much larger than our congregation have long switched over to digital newsletters delivered by email and archived online. This would save a significant amount of money spent on photocopying and postage, and electronic documents allow for color images, better overall quality, and even the inclusion of video and links. Indeed, many other mailings could be accomplished electronically as well. Not all, of course, but most. It is my opinion that such a move is long past due, and that this is something that needs to be considered in the coming months. Fundraising efforts are absolutely necessary for us, as membership dues, fees, and tuition does not cover our expenses, and it has often been said that we simply do not ask often enough. I want to applaud Susan Grey and the members of the Fundraising Committee for their efforts this year, including the marvelous Modiani Kitchen fundraiser this past October. We have added innovations like the Passover Appeal to supplement our Yom Kippur Appeal, and experiments like the envelope board, and I am gratified to witness the resurrection of an idea I introduced back when I started out as president, the sesquicentennial fundraiser, looking to raise $150,000 for our 150th anniversary. And yes, it is now just three years to go until we reach our sesquicentennial year, 2021. I regret that all of the more immediate matters that we had to deal with kept us from starting to plan for our 150th anniversary, but now it is time to do so, to celebrate ourselves, the long term survival of our shul, and in doing so generate more recognition, publicity, and good will for our congregation. In looking to the future, we have to consider the challenges that lie ahead. Some of them are financial. As I mentioned, we have been lucky, but depending on luck alone is a gamble, one that sooner or later you will lose. We are secure for the short term, but we are not always making ends meet, and that is not sustainable in the long run. We will have to confront this issue in the coming months and years. Memberships and religious school enrollments have been declining over the years, a trend that is in no way unique to our congregation. We have been in a better position to weather the decline than other temples, due to our significantly lower overhead, and I hope as well due to the efforts we have made to raise our profile. But the fact remains that our numbers are going down. As I have said before, Congregation Adas Emuno does not have members. Congregation Adas Emuno is its members. 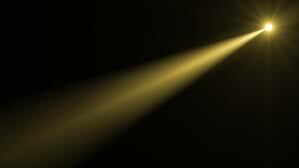 Efforts at publicity help, but there is no substitute for social networks and word of mouth. I have called upon each and every one of us to be Adas Emuno ambassadors, and for all of us to do what we can. But we also cannot ignore the demographic realities. As we continue to deal with these realities in the future, I think it is essential to avoid any form of parochialism in our outlook. Our members come from all over this part of Bergen County, and we have to keep that in mind. Our congregation is our community; it is not a matter of geography, but of a much more ancient and powerful form of affiliation. And we have to continue to keep an open mind and an eye out for opportunities for collaboration with other synagogues, including the possibility of sharing facilities with a conservative congregation. We also have to consider the possibility of either a merger or a move at some point in the future; after all, this is a congregation that started out in Hoboken. However the possibilities present themselves and the plans evolve, we have to proceed based on facts and objective assessments of our situation, but also with optimism, confidence in ourselves, and a sense of mission. This also means that practical concerns must be balanced with a clear and comprehensive adherence to Jewish ethics. As Hillel said, if I am not for myself, who am I? But if I am only for myself, what am I? And if not now, when? Our congregation is strong, but it is not invulnerable. The strength of our congregation lies with its people, its clergy, its leadership, and its members. We live in challenging times in so many ways, locally, nationally, and globally, and we need to work together to meet those challenges, so that our congregation can continue to survive, and thrive. Serving as the president of our adas emuno, our assembly of the faithful has been an honor and privilege, and I thank you for allowing me to do so. My time as president comes to an end as of July 1st, but not my service to the congregation. In accordance with our by-laws, having served at least one full term as president, I will automatically continue to serve another two-year term on the board as an officer, as Immediate Past President. I promise to try to help as much as I am able, and to be available for advice and consultation, but not to nudge or kibbutz (or not too much). I want to wish my fellow officers and trustees all of the best for the coming year. And may Congregation Adas Emuno continue to go from strength to strength to strength, as we look beyond our sesquicentennial, to our bicentennial celebration in the year 2071. The number 139 is not one we are likely to pay attention to, so this anniversary may not get a great deal of attention. We tend to sit up and take notice when the anniversary is a multiple of 100, or 50, or 10, or even 5. At the very least, we have a psychological bent toward even numbers, and 139 is decidedly odd. But if Einstein were still with us, he might point out that 139 is more than odd; that it is, in fact, a prime number, which makes it quite significant in its own right. He also no doubt would point to the arbitrary nature of anniversaries, and of calendars for that matter. Einstein’s date of birth on the Hebrew calendar was the 19th of Adar in the year 5639. This year, Adar 19 corresponded to March 6, last year it was March 17, next year is a leap year so it will be February 24 for Adar 1, and March 26 for Adar 2. 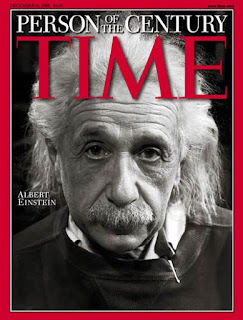 I suspect that the differences between the solar calendar of secular society and the lunar calendar of Jewish tradition had some influence on Einstein’s thinking. After all, when we say, for example, that Chanukah is coming late in a given year, it is just as true to say that Christmas and New Year’s are early. The experience of living with two so very different calendars could not help but point to the relativity of time. And as we remember Einstein, we do so, along with the rest of the world, for his contributions to science, as the recipient of the 1921 Nobel Prize in physics, and the person named in 1999 as Time magazine’s Person of the Century. 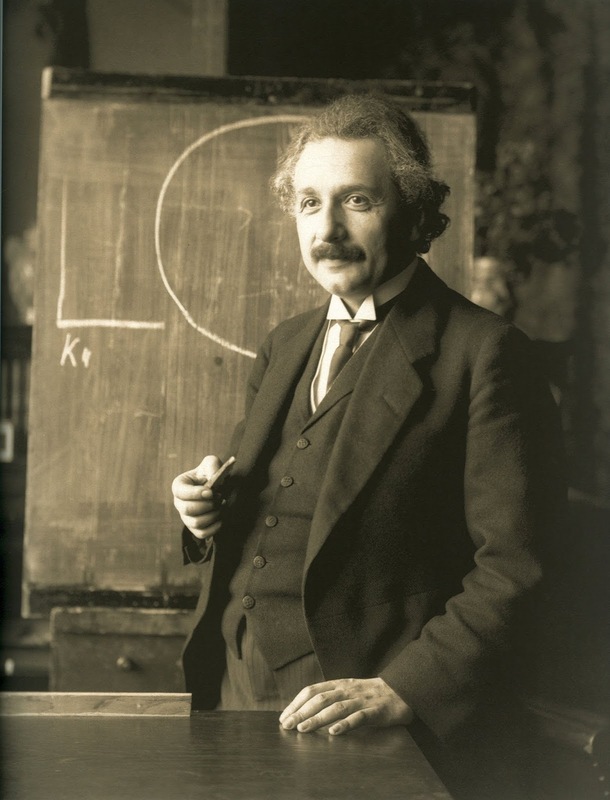 More than anyone else, Einstein was the person responsible for the paradigm shift in science that replaced Newton’s mechanistic view of the universe with a relativistic understanding of space and time. And we also remember him as an especially noteworthy member of the Jewish people, one of our many gifts to the world, a prime example of what we sometimes refer to as yiddishe kop, intelligence born out of a tradition of literacy and learning, one in which teachers and sages are seen as heroic. 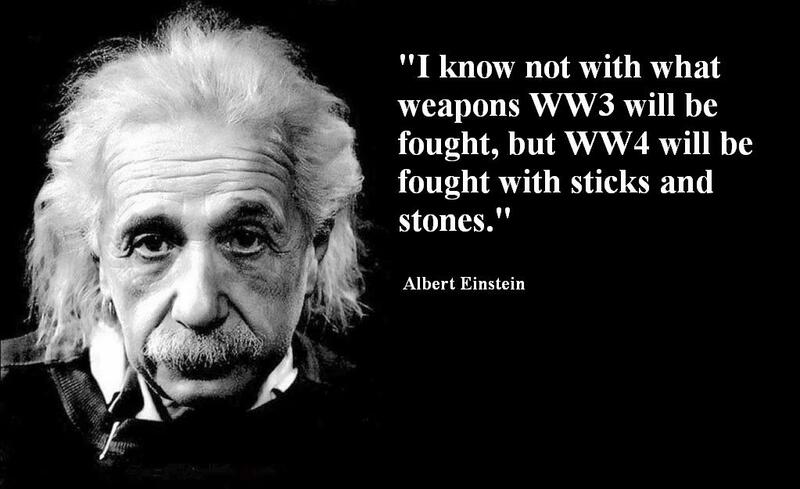 And we may also recall that as a Jew, Einstein was forced to flee Nazi Germany as a refugee, and that he was a supporter of the Zionist movement and the State of Israel. 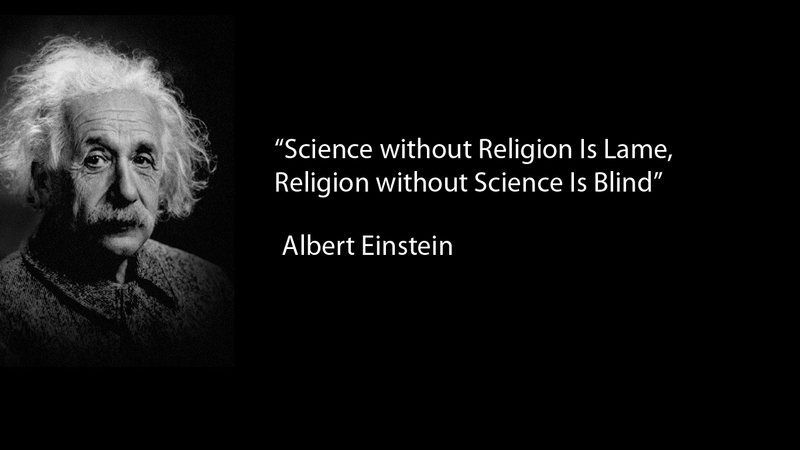 We do not remember Einstein in a religious context, however; he was not a rabbi or talmudic scholar or theologian. I want to suggest, however, that we should remember him as a prophet. Admittedly, in our tradition we consider the age of the prophets to have ended long ago, but we cannot rule out the possibility of modern prophets altogether. And while we would tend to be suspicious of anyone claiming to be a prophet today, Einstein never made any such claim, so he cannot be rejected as a false prophet. 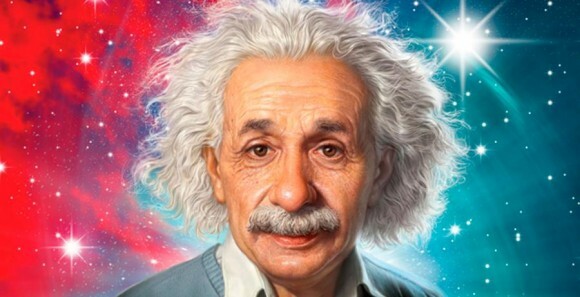 But I do think a case can be made, and I hope you will consider the possibility as I put forth seven reasons for naming Albert Einstein as a modern-day prophet. Einstein’s predictions in the realm of physics continue to be supported by astronomical observation and experimental evidence. Perhaps his predictions about society and politics ought to be taken seriously as well? 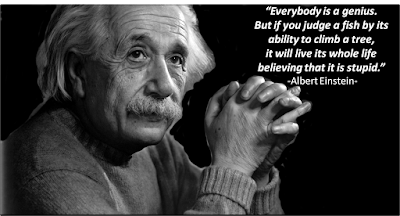 Why bother arguing for Einstein as a prophet? • Because American culture always has had a strain of anti-intellectualism, one that includes resistance to many aspects of science, notably Darwinian evolution. • Because climate change is at least as great a threat as nuclear war, and is being met with denial, dismissal, or disinterest from significant portions of the population, and all too many in leadership positions. • Because facts and logic are under assault by religious fundamentalists, cynical political opportunists, and corporate executives with eyes only for short term profits. As Rabbi Barry L. Schwartz makes clear in his recently published book, Paths of the Prophets: The Ethics-Driven Life, our prophetic tradition is of vital importance, one that always has and always will be relevant for us. Naming Albert Einstein a prophet should not detract from this tradition, but rather enhance it, by adding a dimension that we need now more than ever: the truth that ethics cannot be divorced from an understanding of the world, of reality, in all its complexity, and glory. As Lance Strate steps down from the helm, our thanks are due. With all due deference to Sir (and later Saint) Thomas More, Lance was our “man for all seasons”. One did not have to agree with all of his views or methods to respect his dedication and learning. How many other congregations have a president who rolled up his sleeves to do all the committee and board work that is required, while writing blogs, columns, poems, spiels and appeals (not to mention several books in his own field of media ecology)? I am very fortunate to have worked with Lance for the entirety of his term, and look forward to benefiting from his continued involvement as an “elder statesman” as we near (as Lance was fond of reminding us) our “sesquicentennial” (otherwise referred to as 150th anniversary) just three years from now. Our heartfelt thanks must also go out to Barbara, Ben and Sarah for allowing Lance to dedicate such time and effort to our congregation. And to Lance we say, hazak v’amatz—be strong, and may you go from strength to strength. It's an annual event, a ritual, a tradition. It only comes once a year, just once, so why miss it? It's important too, that is, if you think that Congregation Adas Emuno is important, if you think that Reform Judaism is important, if you think that being Jewish is important. It's easy too. Just come. Show up. Listen. And if you want, share your thoughts and feelings, and express your opinions. I know it's a hard sell. Not just for us, but for congregations everywhere. As the song goes, "I know it's late, I know you're weary, I know your plans don't include me." But how about giving it a try, because regarding our shul, "still here we are." And if you haven't guessed by now, what I'm referring to is our annual congregational meeting, which will take place on Thursday, June 28th, at 7:00 PM. I'm making a special effort to ask you to come this year, because this year's meeting will be an especially important one. This is my last meeting as president, after six years, and that means that this year we will be electing a new president at the annual meeting. I think that is going to be pretty exciting. And we will also be electing our other officers, our Vice-President, Treasurer, Financial Secretary, and Recording Secretary. This year we will also be voting on amendments to our by-laws, which include a major change to our classifications of membership, and their concomitant privileges. A more detailed explanation of the proposed changes will be provided in a mailing, along with the slate of candidates for our Board of Trustees. And yes, forms for voting by proxy. If you must. We do need you to vote, our by-laws require it, so voting by proxy is better than not voting at all. But we’d much rather have you come and vote in person. Our annual congregational meeting is also an opportunity to hear reports from our officers and committee chairs, as well as Rabbi Schwartz and Cantor Horowitz. And it's an opportunity to review our finances, and vote on our budget for the coming fiscal year. If you have any questions or concerns about our religious school tuition and membership dues, this is the time to raise them. And this is the way to be informed. This too will be especially important this year because the proposed changes to the by-laws will open up new possibilities for membership categories and (forgive me for using this terminology) "dues paying units". Let's discuss! And we'll have something to nosh on too. Come for the refreshments, if for nothing else. And come and learn about the business and organization of our congregation. And most of all, come to be something more than a congregant. Come to be a citizen of Adas Emuno. Participate in our democratic and egalitarian community. Let's meet up! I hope to see you there!